the bathroom.. aka the home of bubble baths and pampering! generally speaking i find them to be one of the smaller rooms in a house so maximising storage is key for me. when i first bought this place the original bathroom location was tiny so we extended into the garden to make it bigger. ideally i'd like to redecorate ours with floor to ceiling subway tiles and possibly new flooring but to be honest we're pretty happy with the current one so there's no huge rush! restyling a bathroom definitely helps to keep it looking fresh, after having a huge declutter and getting in some new accessories i'm really happy with how mine's looking again. 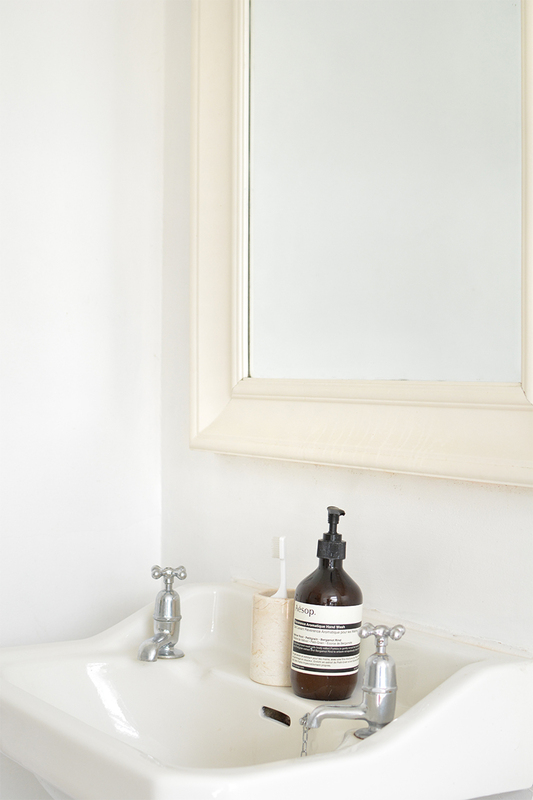 i wanted to share a few simple tips on bathroom styling in case you felt like giving yours a quick spruce up..
identifying your theme/colours is important. if you have an idea of what you want to achieve it's much easier to buy items that will fit! my entire house is white (easy peasy for me) but if you have an existing colour scheme try using this colour wheel to select complimentary colours. i found it really handy for picking out the muted browns, creams and greys for my accessories. i was aiming for a bright clean space with natural textures like wicker, hints of earthy marble and lots of plants. it's ok you can laugh at this one but i swear it works. i always folded my towels and despite my best efforts they never looked super tidy. i tried rolling them and voila- instant organisation! trust me they look so much more pinterest worthy stacked on a shelf when they're rolled. 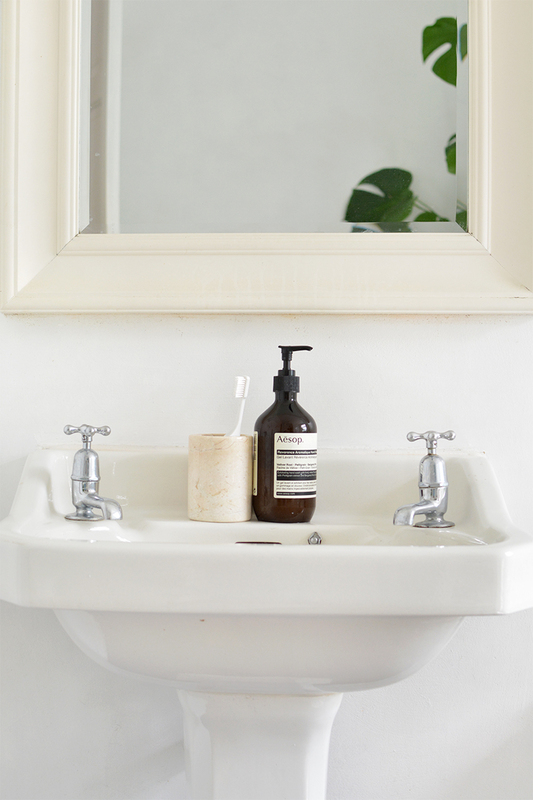 bathrooms can be small and uninviting spaces so bringing nature into them instantly softens the hard edges. mine love the humidity and warm temperatures and they really do have a calming influence. 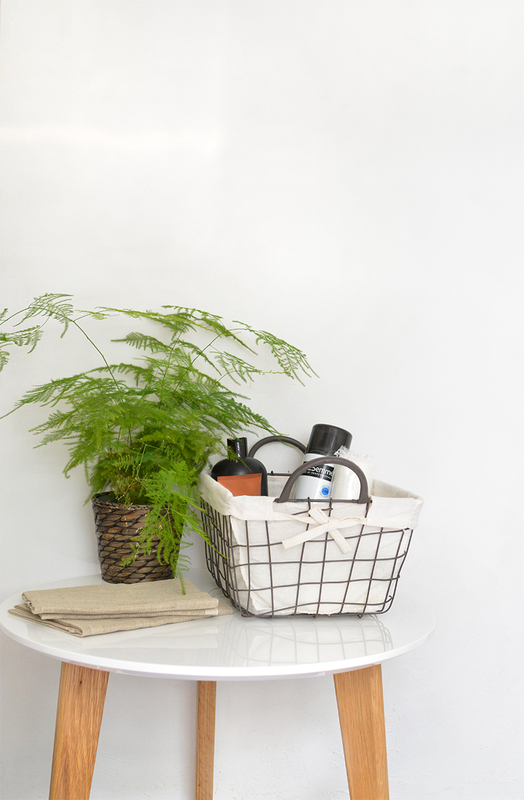 scatter smaller plants on shelves or storage units or opt for a larger statement plant if you have space. storage is so important. invest in something to store away all those endless bottles of body wash, conditioners and make up accessories. i use this ikea unit on castors to stash everything out of sight, from hair products to skincare it all gets put away to keep my surfaces tidy. i store my growing toothbrush collection in marble tumblers* and i dispense a lot of shampoos etc into these muji bottles as i quite dislike having garish branded bottles on display. 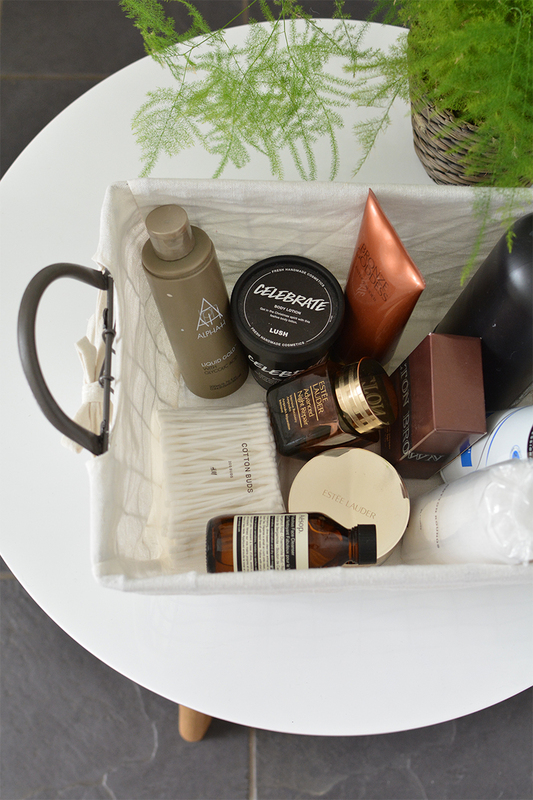 baskets and jars are another way to keep the items you use regularly neat and organised, this industrial style wire basket* is perfect for keeping my everyday essentials in. if you have space a little side table is a cute way to display small storage and nicer items like perfumes on. the clean style of this brooklyn table* works really well in my space. 5. don't forget the candles. 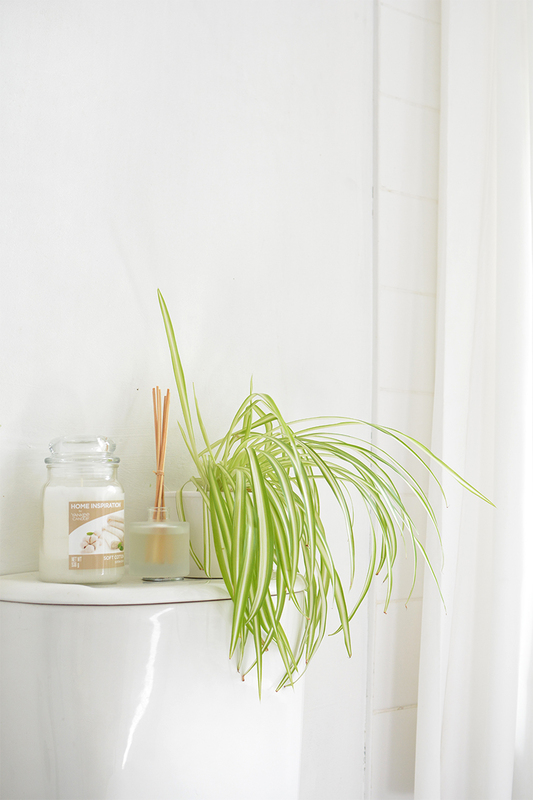 i always style a bathroom with lots of candles, i find fresh and clean scents like these white linen and soft cotton* candles work best for me. a good candle will keep the room smelling nice and create a more relaxed ambiance in the evenings. 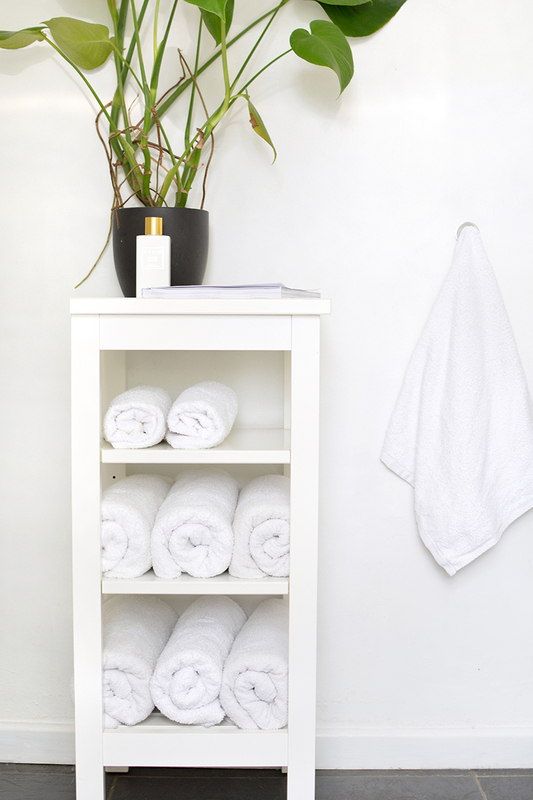 i hope some of these give you some ideas- i thoroughly recommend having a good tidy through your bathroom every few months, i'm always amazed at how much old make up and empty haircare products are lurking in my drawers! i'm always amazed at how adjusting a few things and updating some accessories can help you enjoy using a space more again, do you agree? Love these tips! These details look so pleasing to the eyes!